Have you ordered your copy of The Very Best of 2018? Learn how here! With a marker and stroke of your hand, you’ll be on your way to Bubble customization! What’s in store for you at World Balloon Convention 2021? Learn the first new details here! This Brazilian balloon artist credits his passion for balloons for his success. Read his story here. Check out 9 fun ways to use new Qualatex products in your decor! Marketing materials, decor inspiration and a tutorial video await you in this article! 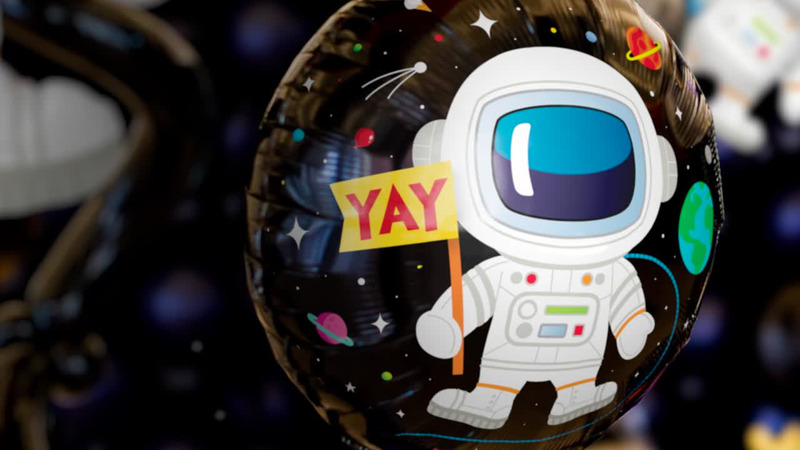 Astronaut Parties are Out of this World! Learn how to make a simple yet stylish rocket designed by Vadim Shushkanov, CBA. Zoe Adams-Jones, CBA, shares her tips for mastering social media in 2019. These adorable bouquets and deliveries are sure to please customers of all ages. The 22nd annual JBAN Convention included eight competitions, a runway show and education sessions. It was a party in Central America at the first Qualatex event in Costa Rica. With impeccable designs and excited students, this event was an exhilarating occasion for Qualatex in China! The third annual event in Brazil drew over 120 people to share and compete. From the competitions to the runway show, this event is always sensational. Balloon artists from many cultures gathered at this event in Saudi Arabia. From a CBA exam to astounding competitions, this event in Spain had it all! This Latin celebration marked the 25th year of Qualatex in Mexico!